Everything about this hotel met our expectations and was even better. Everything was excellent. The front desk staff gave excellent service. The rooms are a good size and very comfortable and clean. The breakfast had a big enough choice for all of our family and was well set up. The location was perfect for touring the city. It's already our third visit and we will be back again. Room was dirty and in very poor condition. Room was in poor condition. Tile floors cracked and peeling everywhere, plaster around the window broken and paint peeling along with lots of visible dirt on the glass. Shower tile had lots of visible mold. Main light fixture on the ceiling had visible dust and cobwebs hanging from it. For some reason our room had an additional bed folded out from the sofa for 2 additional persons and when we folded it up so we could use it as a sofa, there was lots of dirt and dust under it that we cleaned ourselves. The sofa was also covered in very uncomfortable and cheap looking plastic. The decorative end tables were both also in poor condition with scratches and marks on them everywhere. Water temperature in the shower would not regulate properly and the water would go from cold to dangerously hot all by itself about every 30 seconds or so. I stay almost exclusively in Accor and Ibis hotels for years and this is the worst room I've stayed in. Very disappointed. I very much appreciated the readiness of my room during my arrival, I felt respected and an important guest. The room as well surprised me and my wife in terms of neatness and the veranda is a big plus factor giving us a nice view. Another great thing about our stay is the free public transportation tickets given to us during check-in. Csilla one of the staff was very quick to help us get through on how to use with ease the map of Lucerne with regards to the transportation services. The hotel location is also terrific as we adjusted without much efforts to roam around the city and visit key tourist spots. I can say that our trip to Lucerne is one of our unforgettable vacations. 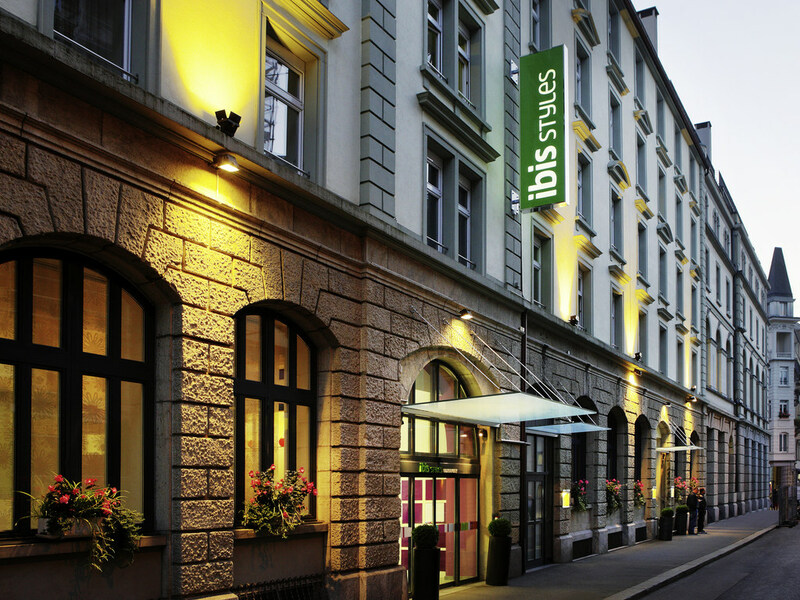 We are planning to go back with the entire family and stay at Ibis Styles again. Good staff, clean room with a balcony . Close to everything. The stay fulfilled our needs. The room is smelly and when I feedback to front desk the staff is not even bother to check at my room and straight away told me he cannot do anything. We keep the window open throughout but still no use we have been staying in other ibis hotel and even other hotels in Switzerland all the hotels are okay doesn't smell. To be fair the young lady who check us in are the only one who is very courteous and helpful. Rooms look too used, breakfast ok, comfortable bed. Great stay with family in family room, good hospitality. Good cosy clean family room, good breakfast, fantastic location. Good breakfast with multiple choices, the room has a nice terrace where you can enjoy your coffee, it was clean and better i was expecting from the site pictures. The hotel location is good. The staff was really helpful. The service was great as well. However, we felt the hotel decor and furniture in the room itself was quite old and worn out. i.e. The wallpaper was a bit nicked and paint was damaged or inconsistent at a few places. The cleaning staff itself was quite good and thorough . Nice room , friendly reception. Helpful staff. Bathroom not 100% clean. No electric sockets near desk. Hotel is very stylish and employees very welcoming, polite and guest orientated. But i have few remarks about cleanness: 1. On the door to toilet a huge old smashed roach was waiting for me;(i have picture if needed); 2. I found few curly black hairs on one of the pillows, and they are mot mine. Believe me. Breakfast is very very good!! !